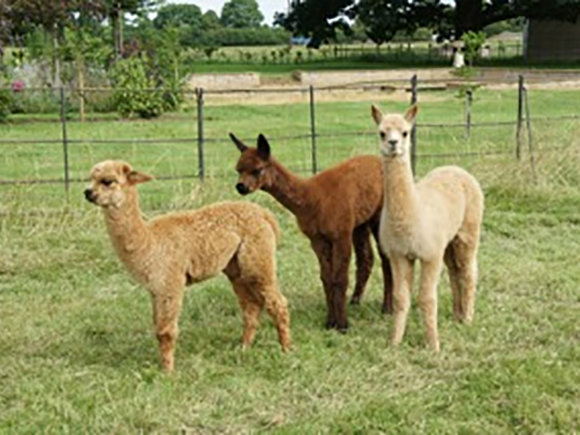 Willoughby Alpacas is a small family-run herd located on the Warwickshire / Northamptonshire border just south of Rugby. In addition to our breeding programme, we specialise in sales of halter-trained pet males in a variety of colours. All our animals are accustomed to regular handling and being taken for walks. They are sold microchipped, wormed and vaccinated up to date. 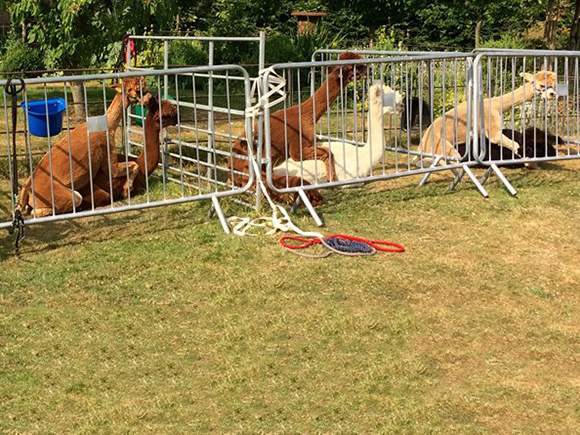 Discounts are available for purchases of 3 or more alpacas. Alpacas are members of the Camelid family, which also includes camels and llamas. They originate in South America where the Inca civilisation used selective breeding to produce animals with a very fine, luxurious fleece possibly unrivalled by any other natural material. Today’s alpaca industry is gradually re-creating the quality achieved by the Incas over 500 years ago. Alpacas are intelligent, inquisitive and easy to handle. As well as high-quality fleece production, they are used as livestock guardians, especially for sheep and chicken flocks, and will easily see-off a fox that gets too close. They also make excellent outdoor pets. Few people who have met an alpaca are not entranced by their gentle nature and beautiful looks. They are low-maintenance animals which require shearing and vaccinating just once a year. Alpacas give birth to a single young, called a ‘cria’ after a gestation of around 11½ months. They normally give birth in the late spring or early summer so that the cria has grown enough to withstand the rigours of the following winter. Birth usually occurs in the morning and the cria should be on its feet and running around within a few hours – well before it gets dark.